For some of you, 1986 doesn't even register. I may well have said the article was from 1886. For others, 1986 was all about dancing to Madonna in your bedroom and Top Gun and posters on your closet wall. Whatever. Suspending your age for a minute, what was true about design 32 years ago is still true about design today. Interiors are for living. Albert Hadley understood that. It would behoove us to remember this idea in the age of Pinterest and Instagram. I spent several days last week living in a rainbow. The outside was absolutely amazing. So fun. My room was another story. Purple carpet, lime green walls/headboard and curtains, and my bathroom was orange with beige tile. I should have taken a picture of it to share with you but I knew it would be forever etched in my memory as a bad dream so I didn't even think to photograph it. The lime green and purple (as well as a keynote by Stacy London of What Not to Wear) got me thinking about good ideas gone bad. (Also, just a quick footnote from this design snob to whoever decorated those bathrooms: if you are going to go big, go big. For heaven’s sake, don’t leave the old brown tile and think it just works with an orange and purple bathroom.) This can happen to the best of us, for sure. Decorators are not immune. 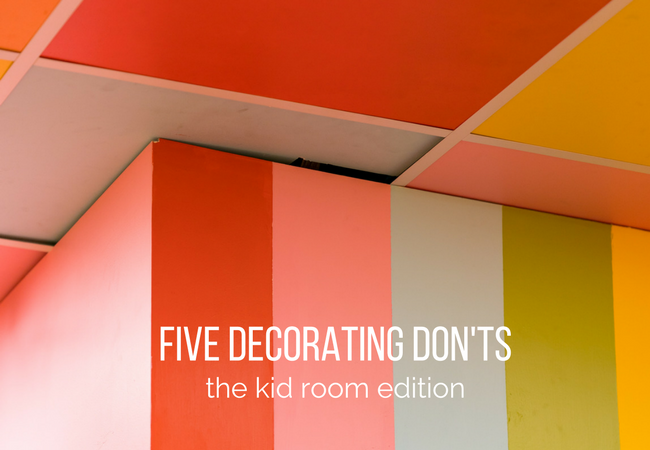 So let’s talk briefly about some decorating decisions we should try to avoid and what to do instead. Photo by Luiz Felipe on Unsplash edited with Canva. Confession time. I cannot dress myself like the grown up that I play on the internet. There are days that I still look like high school Adrienne going to work at the GAP. It’s not good. I also hate shopping for clothes. Hate. My level of loathing for shopping was historically reserved for swimsuits, but as I’ve gotten older, it has spread like dandelions. My better-dressed friends have spent a lot of time trying to convince me that I should just go into Nordstrom and meet a stylist. They insist that if I had things that felt like me and fit me, I’d feel more confident. In a Hail Mary move yesterday, I signed up to meet a stylist at Nordstrom. I say Hail Mary because I am scheduled to leave for California in 4 days to attend two conferences. We can all agree that my usual jeans, t-shirts, and kicks are not going to come off as professional. Sources (P.S. there are a couple of affiliate links here, just saying! 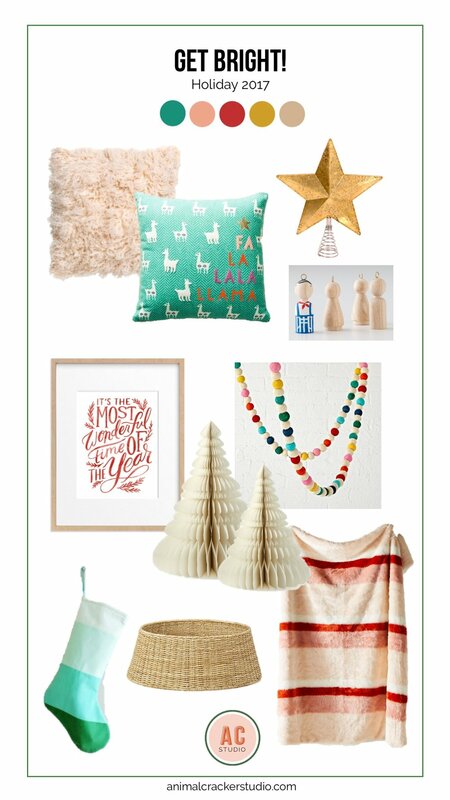 ): Pink fuzzy pillow, llama pillow (this says no longer available but check your local store because I just saw them last week), star topper, DIY ornament kit, felt garland, fuzzy throw, basket tree collar, stocking, paper trees, wonderful print. I’ll be honest, last week was a blur and this week has gone by in a blink. Between the North Pole preparations and the continuing kid-related commitments and trying to keep a business running, the blogging piece has fallen by the wayside. Raise your hand if you are feeling fully in the trenches right now. I know it isn’t just me. We talked a few weeks ago about how to put joy back in the holidays. One of those items was to decorate. You knew I’d come back to this one. Grab the kids and hang some garland or make an advent calendar. I've made you a couple of decorating cheat sheets in case you aren't inspired yet. Want to go bright? I’ve got you covered. Want to keep it mellow? I’ve got that too. Need help finding somethings to make your house festive? I’m ready to help! Image by Carson Arias via Unsplash. Edited by yours truly. The clutter of kids is unfathomable. The doll accessories, the Legos, the stuffed animals (oh, goodness, the stuffed animals! ), the clothing, the school papers, the sports gear, the art projects… It’s enough to drive any parent mad. If only there was some way to contain the chaos. Before you get all excited, I don’t have *the* magic answer here. My kids leave their socks in the middle of the floor and walk over them 30 times just like your kids. I do, however, have some tips to lessen the load. And let me get right to it by saying that my number one tip isn’t a decorating tip at all, but rather a way of life instilled in my husband by my mother-in-law that actually works: the old circular file is your best friend. Photo by Brooke Lark via Unsplash. What is the first thing you do when you decide to throw a party? I'm not talking the practical things like picking a date or making a budget. I’m talking the fun stuff. Do you plan the food? Shop for decorations? Make a guest list? I’ll bet you throw a great party. Welcome to Gus and Théa’s room, formerly known as my laundry room. This is a teeny-tiny bedroom. It is about 9’ long and 8’ at its widest. Oh, but it isn’t rectangular. That would be too simple.